System B Heat Source provides convenience, reliability and accuracy in a gutta percha condensation system. 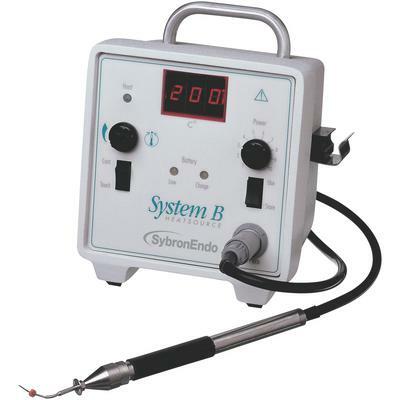 The System B allows you to dial in the exact temperature setting, which it maintains throughout the procedure. Simply set the temperature, and within 12 seconds, you have an apical seal and post space in a single motion. Backfill follows the same easy process.